Brief Synopsis – Mr. Bean is sent by his museum employers in England to deliver a painting to a US Art Gallery. My Take on it – Rowan Atkinson has always been a hilarious actor largely due to his ability to create characters and situations that seem quite improbable yet he presents them in plausible and ingenious ways. I have been familiar with Mr. Bean skits for decades, but never got around to seeing this film. 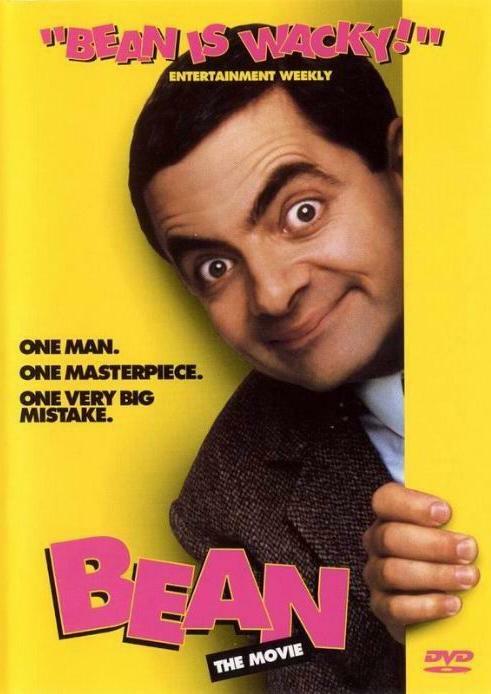 This film has quite a silly premise yet it still manages to stay hilarious the whole time due to the comic slapstick antics of Atkinson and his famous character Mr. Bean. I found myself laughing quite hard at many of the comic moments in this film because they might be crazy but they still seem plausible. Atkinson’s method of comedy is amazing and in some ways, he reminds me of Charlie Chaplin because he is able to show so much physical comedy without any real need for verbal interactions between the characters along the way. The supporting cast is fine here with Peter MacNicol, John Mills, Pamela Reed, Harris Yulin and Burt Reynolds doing a fine job but this is clearly Atkinson’s show and he is the real reason anyone should see this film because he steals every scene he is in and the irony of it all is that it doesn’t matter what he does in those scenes because they are so funny to watch. Bottom Line – Hilarious film that does a wonderful job of emphasizing Atkinson’s method of slapstick comedy. The plot of this film is quite silly but the way that the story keeps giving us more and more laughs as it moves along works really well. Love the way that this is so similar to a Chaplin kind of comedy because it is done with little to no verbal interactions between the characters. The supporting cast is also quite good, but this film is clearly Atkinson’s because his lovable character is able to steal every scenes that he is in no matter what he does. Recommended! Bean is not my favourite incarnation of Rowan Akinson’s but this movie is a pretty good laugh!